Have you ever had problems with your chickens eating their eggs? Ive heard of this and from what I’ve ready there’s not much you can do about it. Recently I’ve had a similar problem. 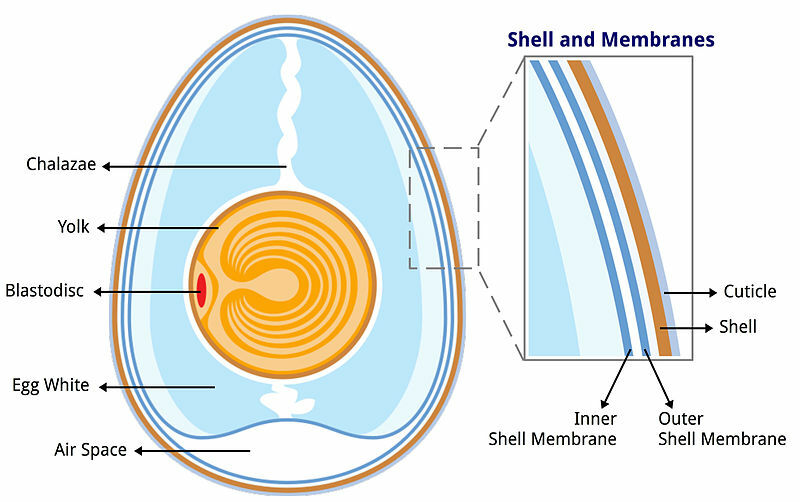 Something is eating only the yolks. They leave the shells behind. I’ve heard that chickens will do this if they need more protein in their diet. I’m not sure but I’m going to let my chickens run around the yard more so they can eat more than just chicken feed. If you have any thoughts or ideas about what could be causing this. Please leave a comment. Hi. I see no one has answered your question. Sorry about that. Thought I would, at least, offer a response, if by chance you are still having difficulties. Is it possible you have some predator visiting your coop? Young possum, perhaps? If it really is a chicken that is doing it, then.. hmm.. Truth is I have never seen this behavior in any of the chickens I have had over the years. 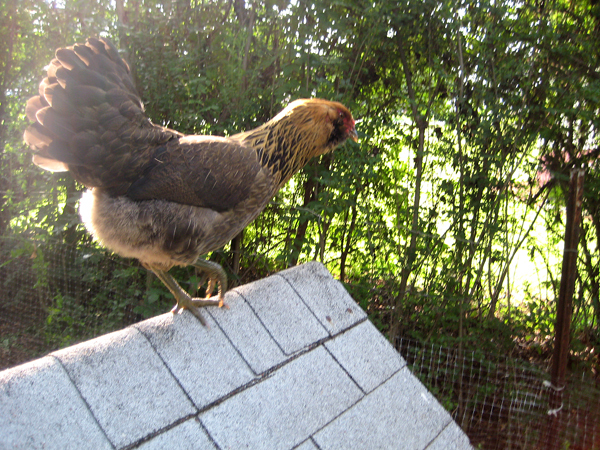 I’ve kept Long Island Reds, Cochin bantams, Old English Game bantams, Wyandotte bantams, and Nankin bantams. I have had them cooped and loose. Fed them a variety of feeds, or let them live off the land and have not seen any of my chickens eat their eggs. Weird. What is different? Well, anyway.. recommendations for solving egg eating include increasing the amount and quality of the feed and feeding calcium. Are you feeding your hens poultry oyster shell? Years ago, with my free range chickens, I just recycled the egg shells from the kitchen by crumbling them and feeding them back to the chickens. They ate them up! So that is another way you can increase their calcium intake. Other recommendations you could try would be to darken the nest box area and collect the eggs much more often. Hopefully, something will work here and you will not have to resort to figuring out which hen is the culprit and being forced to remove her from the coop. I have heard, from some people, that the behavior is a learned one and may be hard to correct in certain individual chickens. We’ll see. Good luck with all this. I think I had a chicken that wasn’t getting out enough and she was bored. I added a feeder of Oyster shells and let her out in the yard a little more and the egg eating stopped. What I found that helped was adding a feeder of crushed oyster shell and letting her eat a more varied diet. I buy all my chicken feed from a local farm so it’s all natural. The locally produced chicken feed is SO much cheaper. Only $8.50 for 50lbs. However the chicken that I suspected of eating the eggs was grabbed by a hawk (I think) as is sadly no longer with us. It can be very hard to stop chickens eating eggs once they develop a taste for it. You need to get onto it right away. 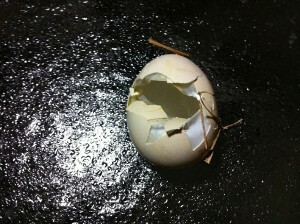 If the egg eating persists, blow some eggs, fill them with mustard paste and leave them in the nest. This has worked for egg eating hens I have had. I read your other answers with huge interest as we’ve had the same problem, with just one hen. We live in a tiny mountain village in Spain, and were given the following advice by the Spanish farmers. So, if you discover something that works – do tell me! 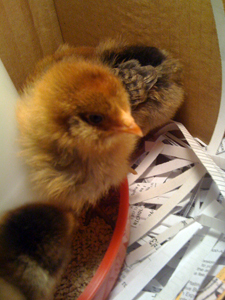 PS We always crumble up the eggshells and give them back to the chickens – they love them. You may want to stop putting the crushed egg shells in their feed. I heard that it can make them associate the taste of egg shells with food. You can supplement the calcium with crushed oyster shells. However once they start eating their own eggs you can’t make them stop. It could be stoats or, as Charlotte suggested, possum. I think chooks eat eggs, not because they need more protein, but because eggs taste good! They’re just as discerning as us with their taste buds and like variety too. The odd egg eaten by your own chooks isn’t a problem. I’d be more concerned if stoats were getting in the coop. experience, chickens eat shell and all. Always. And fight over it. don’t associate crushed shells with eggs. Possums will lick the egg shell clean. Chickens, however, are more likely to make a mess. So you’ll find the culprits with egg on their faces (literally and figuratively!). Drying the shells and grinding them to mis with oyster shell is a good way to boost their calcium. They may not eat it when its mixed with feed. They will not stop eating eggs once they’ve started. But they’ll be healthier – especially if they’re organic! Always toast egg shells before you crumble them up to feed your chickens. They don’t seem to notice they are egg shells that way. MY CHICKENS DID THE SAME THING! When chickens lack calcium they eat their eggs. Yah, I got a bog of oyster shells from a local feed and seed store and it worked great. Surprised to see this article reposted on Twitter, again. I had forgotten that I had posted a comment. Though I think the ideas set forth in all the comments are good, I do want to add an observation. In late spring and early summer I let my Nankin bantams keep their eggs for the purpose of hatching the next generation of roosters and laying hens. One day last week, I was checking under a hen for a peeping chick when the hen struck out at me with her beak. Totally cool with her during this, as I respect her for trying to defend her chick. Thing was, she missed and broke right into an egg on the edge of the pile she was sitting on. It looked just like your egg in the picture. Of course, the hen saw her mistake, but also being wise to not waste an opportunity of the protein kind, began to eat the contents. Nankin hens tend to add new eggs to existing sets, so this egg was fresh. I decided to not let her eat it and took the egg away, but you know it makes me think. Perhaps what you found was just such an accident and hens being what they are, wise opportunists, ate the contents. Well whatever happened, feeding an additional source of calcium and feeding your hens a varied, good quality daily ration remains the best advice.